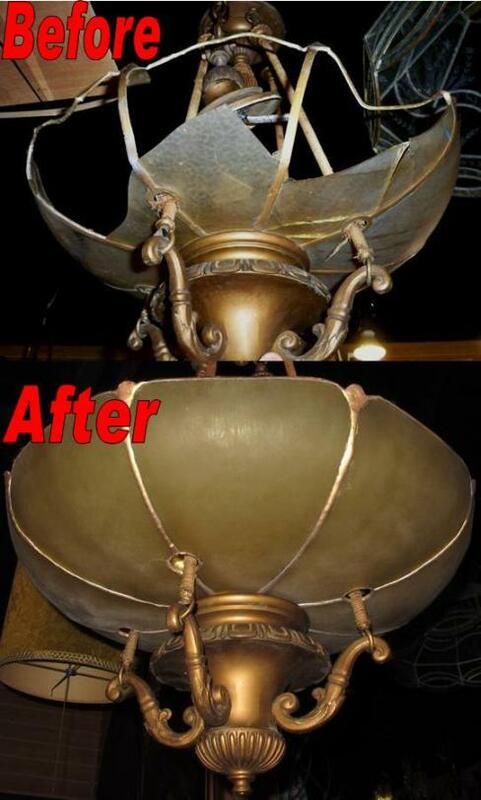 Email photos of your chandelier or lighting fixture damages for a quick repair cost estimate. 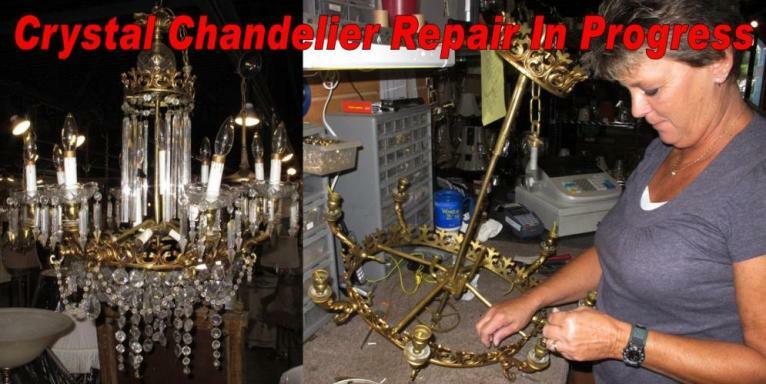 Crystal, bronze, modern and antique chandeliers and fixture repair. Chandelier repair, Custom glass was hand made and hand etched to match this lighting fixture circa 1920 Crystal chandelier repair - Broken dirty antique lighting fixture: bent arms, bent frame, missing crystal prisms, missing crystal garland, defective electrical wiring and sockets. 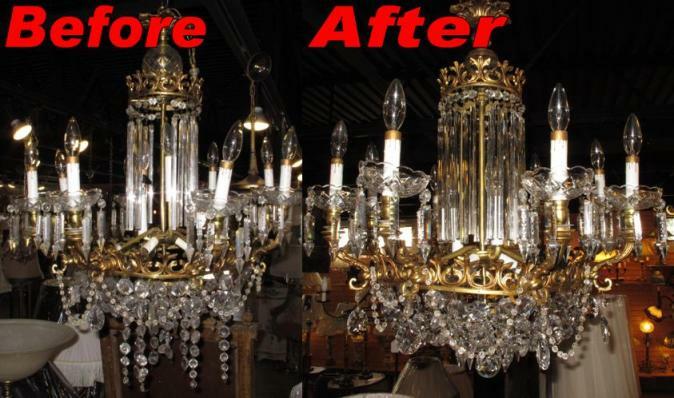 Chandelier was disassembled, cleaned, sealed, repaired, rewired, missing crystal prisms and crystal garland replaced.